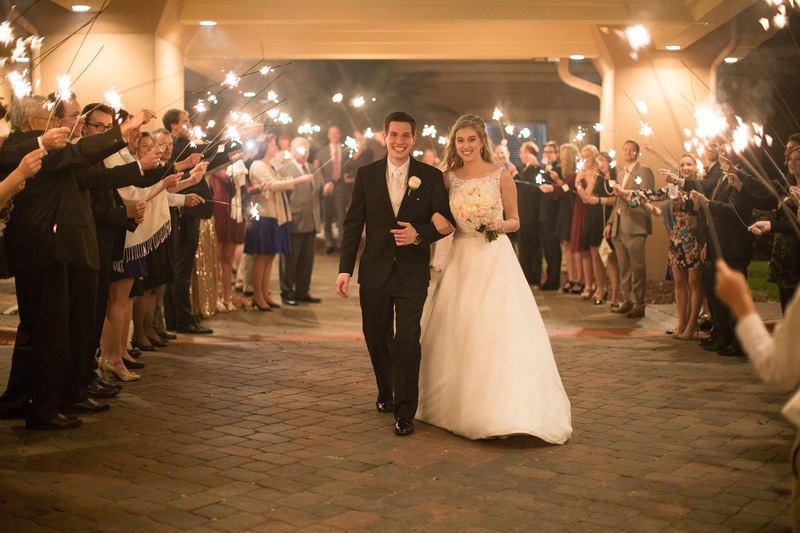 One thing I really wanted at my wedding was a sparkler exit! All the pictures I have seen look so beautiful and I knew I wanted some of my own! For as many of these awesome shots as you see on Pinterest you would think it was normal to do, but a ton of reception spaces don't allow them! 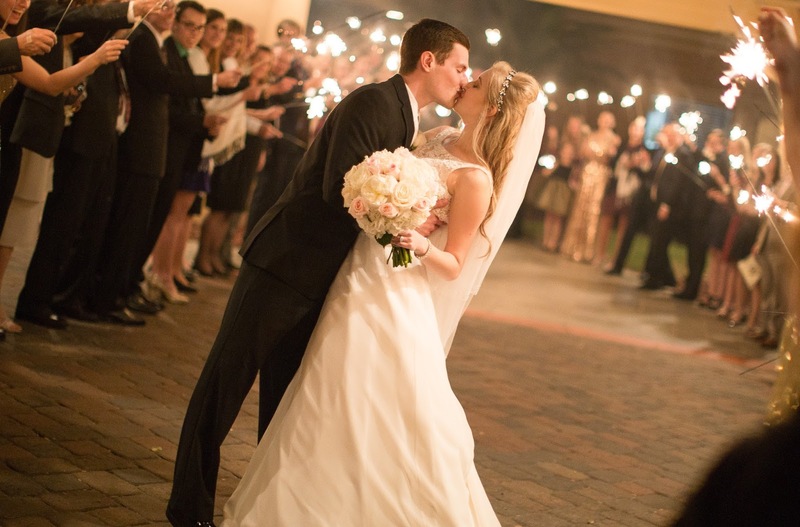 So before getting your heart set on sparklers, make sure your reception space is a-ok with you having them. So pretty! So festive! Soooo picture perfect! So here is what you need to know! 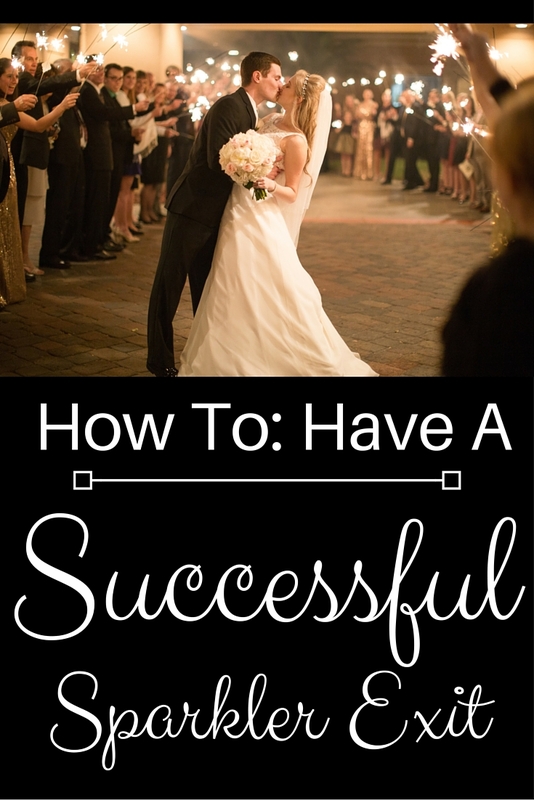 #1 - not all sparklers are wedding sparklers. Those ones you do on 4th of July? Not wedding appropriate. First of all they burn out super quick (see #2) and they create tons of smoke - not cute for pics. #2 - get long sparklers. We had 36" sparklers! Yes that is 3 feet! These burned for up to 4 minutes which is great (see #3) and kept our guests, even the little ones, safe since the 'sparks' were far away from them. Side note - make sure the path they leave for you is wide enough so you and your new hubby stay safe too! #3 - put someone responsible in charge. 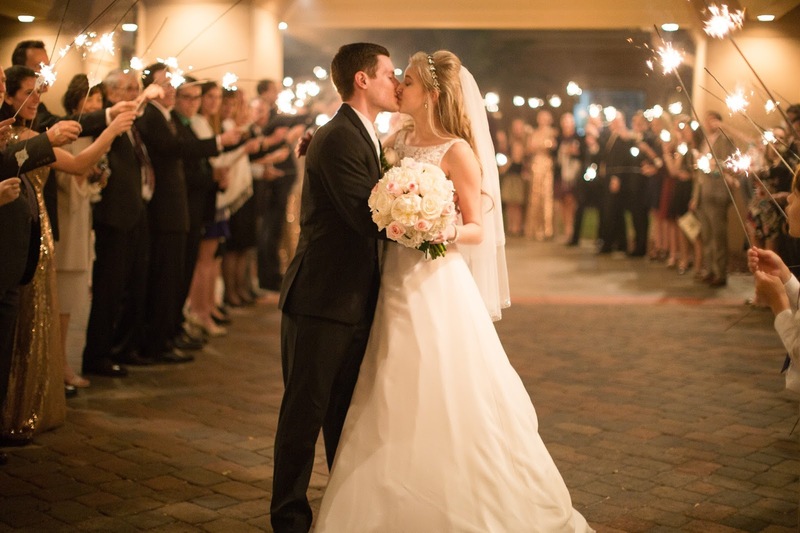 Love you groomsmen but you guys kind of failed me :( Somehow sparklers got lit before they should have (groomsmen were supposed to be the only ones with lighters and were told to wait to start lighting until we were ready and waiting at the door). Luckily our sparklers burned for so long that even though my mom had to run in and get me and B to hurry us out there, we still got to take multiple runs through the line. #4 - picture perfect does not mean the moment is perfect (see #3). But I also mean that your photographer will have you walk through the line, go back to the beginning and do it again. And again if possible. This means she has the best chance at getting those perfect shots! But your guests might find it odd that you're exiting is stuck on repeat - oh well, it's your day and if they think its odd that is their problem!! #5 - clean up. Not you obviously! But before the day make sure there is a clean up plan in place and someone to execute it. 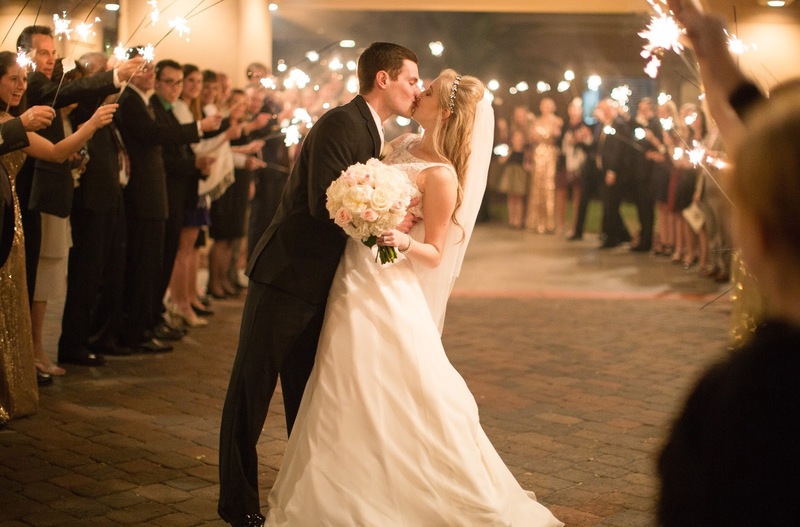 There will need to be a sand or water bucket for guests to place their sparklers in after you're outta there. I'm sure your venue doesn't want someone throwing theirs in the bushes and starting a fire! I purchased my sparklers here and like I said before I got the 36" ones. No need to buy a sparkler for every single person because some people will leave early and some may not want to do one. Any questions? I'd be happy to answer in the comments below!